This book, a labor of love for me, has the work of 46 poets, from Maine and all over the country. 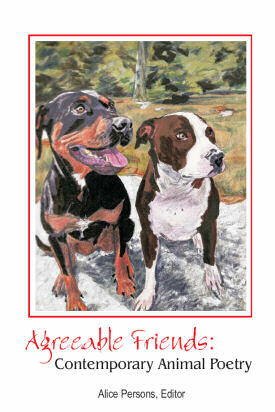 All proceeds from the book will go to the Maine State Society for the Protection of Animals, based in Windham, Maine. This is a private non-profit that cares for over 90 horses and other animals who have been abused or neglected. Their website is at www.msspa.org. Please consider buying this book for holiday gifts, and also consider memberships in the MSSPA. Visit the farm in Windham and see what wonderful work they do. Many thanks from me and the animals to all the poets and the artist for the cover, Lisa Allen, for contributing their work to this book.